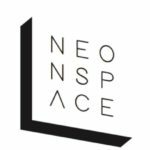 Neon Space is a co-working holiday concept with some planned ‘workations’ for spring and autumn in Ibiza & winter in Sri Lanka. Free from the distractions of daily living, in a remote location, Neon Space gives you a chance to recharge your company strategy and free up creative thinking. As a business owner, we have identified that you probably never get a holiday, would take your laptop with you anyway and rarely get the chance to share your business war stories. So, why not take a more structured approach to a working holiday and combine a relaxing activity break with like-minded company founders? We aim to create a real co-working experience where you can exchange skills and ideas, work together, then take a break to do something different. Our co-working holidays are inclusive of accommodation, fast internet, stable power and freshly prepared sustenance. We will help structure your work and play and be hands-on to give you advice for growing your business. Activities depend on the location but can involve anything from solving a local community problem to country walks, group bbq, mountain trail biking or learning to surf. Take a break on the beach, network and share experiences at lunch or evening meals. We will make sure your activities will take you away from work, so when you get back, you feel refreshed to adopt new challenges on your return.